After pregnancy, you’re probably thinking of the best ways to get back in shape. One of the ways to do that is by using a belly band. In fact, some health experts recommend it not just for aesthetics but also for various health benefits, such as abdominal support for women with back pain after pregnancy. It also helps correct posture and other back problems mothers might experience after delivery. This is just one of the tools you might want to keep handy when it’s time to put away those that you’ve used during pregnancy like your pregnancy pillow, pregnancy belly band, and maternity jeans. If you’re ready to shape up now, here are our top picks for the best belly bands after pregnancy. The TiRain 3 In 1 Postpartum Support – Recovery Belt Shapewear is number one on our list. It’s specially designed for women’s post-pregnancy body. This belly band is made of skin-friendly and breathable fabric, putting your comfort above all else. The band is superelastic and has an adjustable innovative design to fit around your belly, waist, and hips. It will help you shrink down to your curves before your pregnancy. This 3-in-1 belt fulfills three needs as its name suggests. The belly belt helps get your stomach and muscles halfway back to normal while the waist belt flattens your belly and relieves back pain. The pelvis belt is what helps ease the tension in the uterus and shrink it to normal size. Next on our list is the Gepoetry 3 In 1 Postpartum Support – Recovery Belly Wrap. It supports not only the belly but also the waist and pelvis area to help you get back in shape after giving birth. This belly band could address all your needs on your belly area throughout your postpartum healing process. It will restore your body shape before pregnancy and ease a lot of discomfort during the entire postpartum process. The belt could help ease the transition of the uterus and shrink it down to its normal size. It also supports the lower back and holds your tummy in as well as redefine the waistline. If you want something more straightforward, the Picotee Women Postpartum Belly Wrap Band is also a great choice. This belly band is simple to use and it works to redefine your waist curve after giving birth. It also prevents sagging of organs and promotes contraction of the uterus to help your body recover and function at its best again. The wrap is also effective in relieving back pain after delivery. 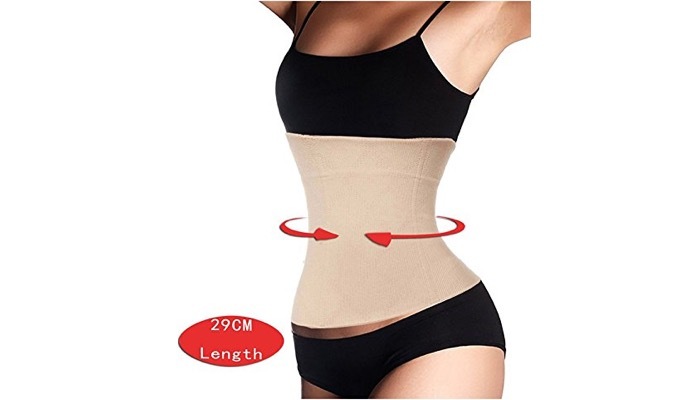 It has a four-bonding design which reduces the soreness of the waist and back. 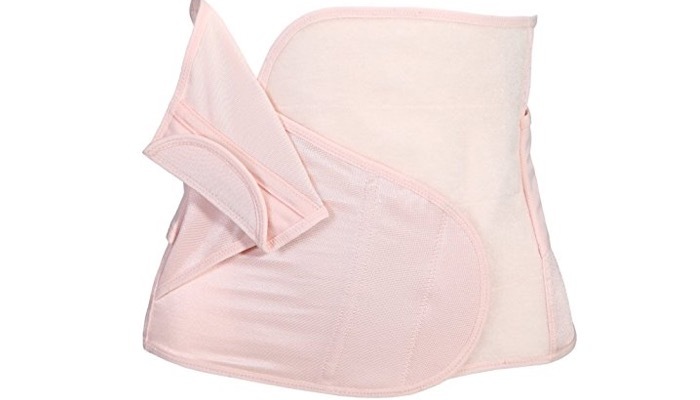 Childbirth can get really expensive and mothers who want to stay on a budget would find the LODAY 2 In 1 Postpartum Recovery Belt as a great affordable alternative. 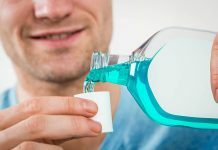 It costs a fraction of the price and works just as well to provide great support to squeeze everything back together. This model is designed without buttons or zippers. Instead, it easily slips onto your body. 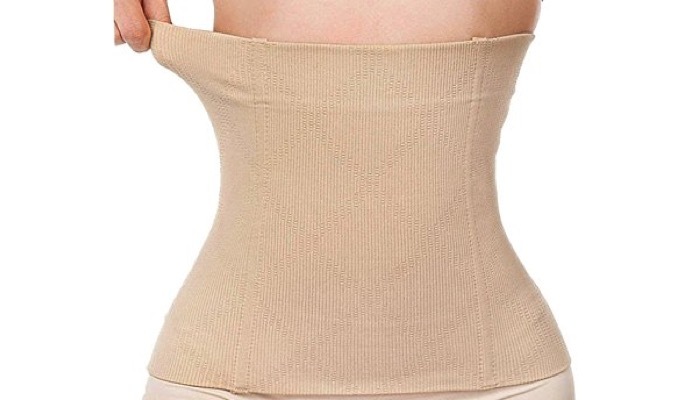 The waist shaper provides firm control to flatten your stomach and smoothen your skin as well. It helps form a nice shape on your body. The great thing about this belly band is that it also helps you regain your posture whether you are sitting straight or standing up. You can use it under clothes and it’s comfortable to wear even if it’s tight on your body. Not all belly bands claiming to help you get back in shape actually work. You have to make sure that it comes with the specific features that help support your body and posture. Comfort and ease of use should also be put into consideration. This may not be your top priority but you may want to find out how the belly wrap or band would look underneath your clothes. Is it bulging? Does it create weird shapes that make you look deformed? Check that the band is seamless enough so that it doesn’t look awkward. Some bands are designed so well that you won’t even notice it’s there. The belly band should be easy for you to put on without help. If you have to wrestle your way into it, it’s really not the best choice. Being a mom puts you under a lot of pressure and wearing your belly wrap should not be one of those. It must be something you could easily slip on. Once you’re wearing it, it should be able to stay in place for the entire day. A band that you have to keep adjusting throughout your activities for the day is not worth the trouble. It’s very uncomfortable to keep pulling it up and tugging on it if it slides and slips. You should also check that the brand has the appropriate size for your body or it will not stay in place. Your postpartum band should provide maximum comfort or else, you would be discouraged to wear it and you’d be wasting your money. Check that the material is soft enough and breathable so that you don’t sweat while wearing it. Avoid itchy fabrics and those that are designed with rough edges because it will irritate your skin. Remember to keep your comfort and convenience in mind when choosing a belly band after pregnancy. This is an investment for your postpartum recovery so it’s important that you consider the factors stated above. The TiRain 3 In 1 Postpartum Support – Recovery Belt Shapewear remains our number one pick, but all the models we’ve featured above have been selected for having good quality design and materials. Make your purchase decision based on what you think would feel good and give your body the most support during the recovery process.